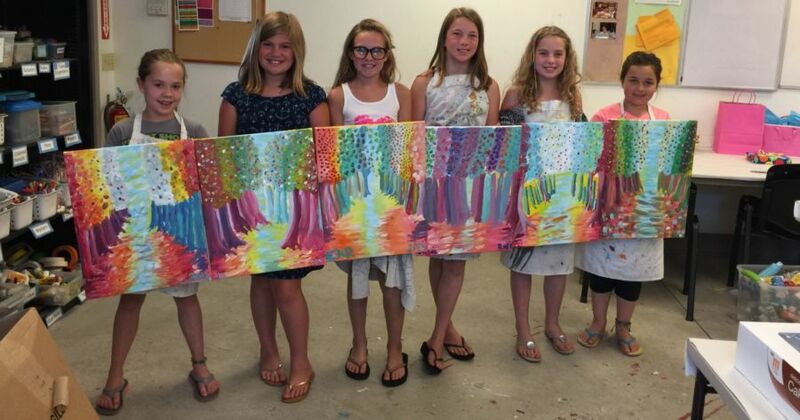 PETOSKEY: On Monday, August 17, Crooked Tree Arts Center in Petoskey and Traverse City began registration for their Northern Michigan kid and adult fall classes and workshops. Tried and true classes will be returning for the fall line-up including, CTAC’s School of Ballet classes, Figure Drawing, pottery classes for all ages, Music and Me, and Adventures in Art, just to name a few. A new season of culinary classes will be christening the newly renovated CTAC Kitchen beginning in September, with classes on both Tuesdays and Thursdays. “Back by Popular Demand” is the theme for the gastronomic courses, with classes being put on by Pond Hill Farm, American Spoon, Cafe Santé, Crooked Tree Breadworks, and other local restaurants. New classes are also being added into the mix of traditional fall favorites, some of which are Jewelry in the Making for Grades 4th – 8th, Framing 101, Pocket Sketching Workshop, Everyone is an Artist!, Kid, Meet Camera. Camera, Meet Kid. for kids from Kindergarten – 3rd Grade, and Grades 4th-8th, and a daytime adult pottery class. Another new addition for fall is CTAC’s take on the popular Drink & Draw events. The Arts Center will be offering Painting & Pizza for upper elementary and middle schoolers, and Dish & Dabble for adults who’d like to have a fun night out, painting and snacking on hors d’oeuvres. Boyne Falls artist, Martina Hahn will provide instruction and guidance for both children and adults. A 10% discount will be offered for members who sign up between August 17–28, on all Performing Arts and Visual Arts classes of 3 weeks and longer. This discount excludes CTAC School of Ballet classes, culinary classes, and workshops. For more information, to register, or to become a member, contact the Crooked Tree Arts Center at 231-347-4337 or visit www.crookedtree.org. The Crooked Tree Arts Center is located at 461 E. Mitchell Street, downtown Petoskey, and at 322 Sixth Street, Traverse City. Planning a vacation to the Petoskey area? Check out the MyNorth Vacation Guide for great places to eat, things to do & more!